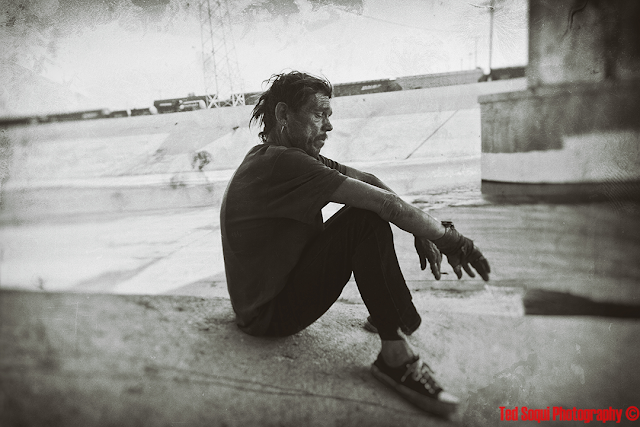 "Pepper," a homeless man who lives on the banks of the L.A. River. Met him relaxing under the 6th Street bridge which will be torn down this month and replaced with a new fancy version. No plans or actions for building homes or real resources for the homeless are in our city's immediate plans near the bridge. Most of L.A.'s homeless population live within a mile of the bridge site.